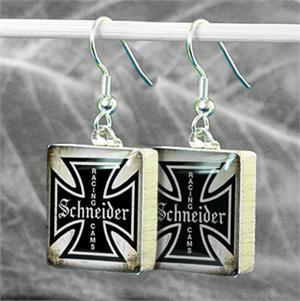 We're very excited to offer these fantastic Schneider earrings that will perfectly compliment your favorite gal. Our classic iron cross is proudly sealed onto the back of a Scrabble game pieces then hung from classic ear hooks. They come in antique, black, red and pink.